The Pennsylvania Department of Environmental Protection has officially launched a tick surveillance program to assess the illnesses that come from the insects. The five-year program is analyzing tickborne illnesses like Lyme disease, Powassan disease, and Ehrlichiosis by collecting samples in every county. 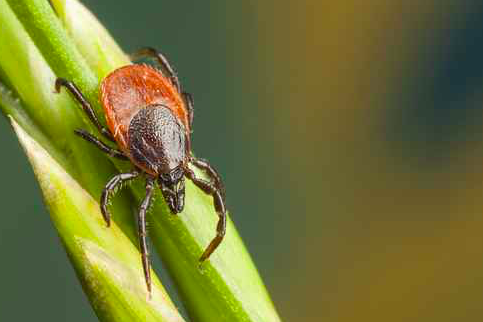 It first began in certain counties in July 2018 to track tick habits, life stages and activity, the department announced on Thursday. Collections being made in spring and summer focus on collecting the black-legged tick — which most often infects humans with Lyme disease — the American dog tick, and the lone star tick. Thirty-eight counties are also conducting independent surveys of the nymphal black-legged ticks. Since July 1, the program has collected 3,663 adult black-legged ticks for testing, according to the DEP. To collect samples, the department will drag a piece of white felt through low-lying vegetation. Collections in fall and winter mostly focused on analyzing adult black-legged ticks for emerging and changing diseases in public places like parks, playgrounds and fields. According to the Morning Call, this is the first time Pennsylvania has done a statewide study since 2015.